This colorful dragon buzzes with vivid neon light, illuminating a historic city street. 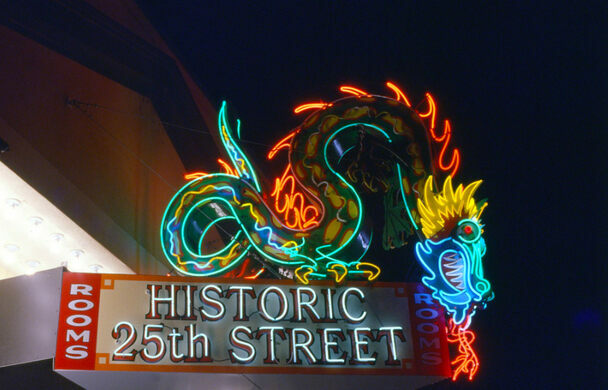 The neon dragon is sometimes called the “Blade Runner” dragon, as it resembles the bright, beastly sign that features so strongly in the film. But this sign is so much more than a pop culture icon. A replica that won't float away. 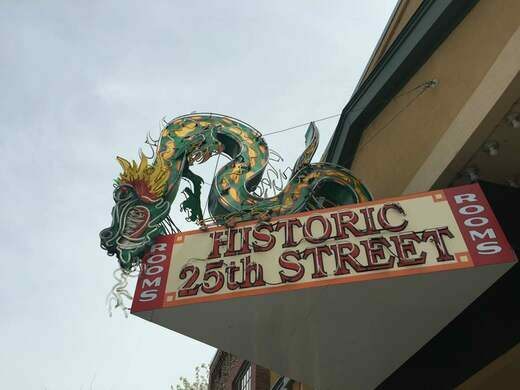 The sign is also a landmark from Ogden’s 25th Street, a historically diverse sliver of the city. The dragon once flickered to life outside Star Noodle, a Chinese noodle restaurant run by the Ryujins, a Japanese family. 25th Street was a bit of a cultural melting pot, brought about by the railroad industry. Many of the workers were Chinese, Japanese, and African American, and they settled in Ogden during their time working on the railways. They soon created a vibrant, flourishing community within a rather non-diverse city. 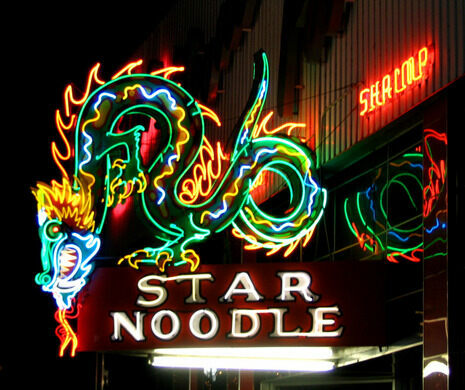 The Star Noodle’s dragon fate remained uncertain after the Ryujin’s closed the restaurant in 2007. The huge sign was taken down, then went into storage and vanished from sight for the next few years. The community rallied to locate and return its beloved dragon. In 2015, it was finally restored and returned to its home on 25th Street. Water flowed out of the town's unusual tree stump fountain in the 1930s, and the well still runs today.